• It’s your midweek serve of The Purge and we’re kicking it off for the last time in November with confirmation that British songstress Laura Marling will release her new album in March. According to her publicists, ‘Semper Femina’ lyrically deals with the subject of womanhood through what’s been described as a “particularly masculine time in Laura’s life”. “I started out writing ‘Semper Femina’ as if a man was writing about a woman, and then I thought; ‘it’s not a man, it’s me’,” the singer explains. “I don’t need to pretend it’s a man to justify the intimacy, or the way I’m looking and feeling about women. It’s me looking specifically at women and feeling great empathy towards them, and by proxy, towards myself.” ‘Semper Femina’ will drop on March 10. • Other tracks doing the rounds at Aussie media this week include Pnau’s ‘Chameleon’, Tove Lo’s ‘True Disaster’, Kylie Minogue’s ‘At Christmas’ and ‘Cheers To The Girls’, the new collaboration between Amber Lawrence, Catherine Britt and Fanny Lumsden. We’ll have a lovely wrap of the new singles to media this week on our FACEBOOK page tomorrow. 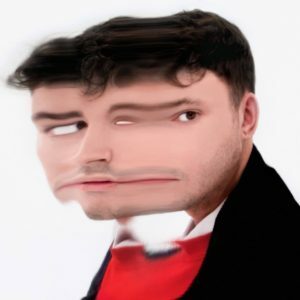 • He’ll be in Australia late next month for appearances at Southbound, Beyond The Valley and Lost Paradise, but now Hudson Mohawke has confirmed three East Coast headline shows as part of his visit. He’ll play Sydney’s Oxford Art Factory on January 05, Melbourne’s Prince Bandroom on January 06 and Brisbane’s TBC Club on January 07; tickets are on sale now. • As you’ll no doubt be aware by now, Swedish pop starlet MØ is playing headline shows in Sydney and Melbourne early in the new year as part of her impending Aussie visit for Falls. But confirmed just yesterday is that our very own Nicole Millar has been chosen as the support act for both gigs. Nicole’s six track ‘Communication’ EP (featuring previously-released grat tracks ‘Signals’ and ‘Pixelated’) will be released this Friday. • Not great news for local fans of Of Mice And Men, who may have been looking forward to the band supporting A Day To Remember on next month’s national tour, with confirmation they’ll be replaced by US outfit Issues. Of Mice And Men have been forced to withdraw from all touring commitments for the foreseeable future due to ongoing health concerns for vocalist Austin Carlisle.